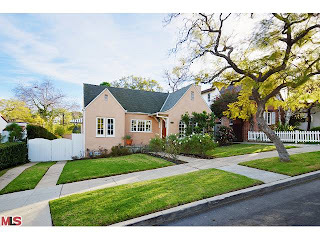 The Westwood Real Estate Market Blog: What Did 10810 Wilkins Ave Sell For? The Westwood home at 10810 Wilkins Ave LA CA 90024 lasted about 18 days on the market before accepting an offer on 2/17/13. This move in condition home has an updated kitchen and recently updated bathrooms to go along with other upgrades such as; central heat/air, new windows and hardwood floors throughout. On April 30th, 2013, the home sold just over the asking price at $1,000,000 |$718 $/sf|. According to the MLS, the home is a 3 bedroom / 1.75 bath, 1,392 sq ft of living space on a 6,500 sq ft lot.